The Samsung Corby line is growing by the minute – yet another one poped out, although unofficially. It brings a new form factor as well – meet the Samsung W930 a.k.a. Samsung Corby Folder. 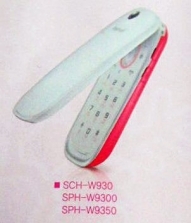 The Samsung Corby Folder, as the name implies, is a clamshell, unlike all the other phones in the Corby line. The phone features a 2.6” QVGA display on the inside (there’s no secondary display), a 3MP camera plus a secondary video call camera and a microSD card slot. The Folder also packs a DMB TV receiver, the portable digital television standard used in South Korea. 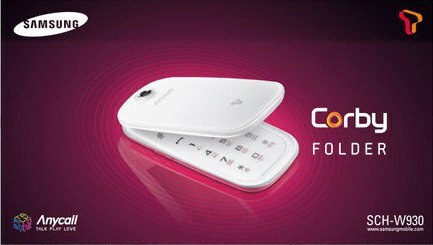 Yep, Korea – for now the Samsung Corby Folder is CDMA-only and will not be available to the rest of the world. It’s possible that we’ll see a worldwide GSM version too, though not just yet. 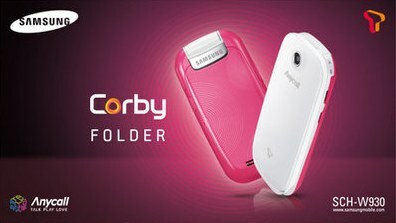 The Samsung Corby Folder will be available in a variety of colors – it’s a Corby after all. I don’t know when it’s coming out or how much it will cost (though if I have to guess, I’d say – not much).